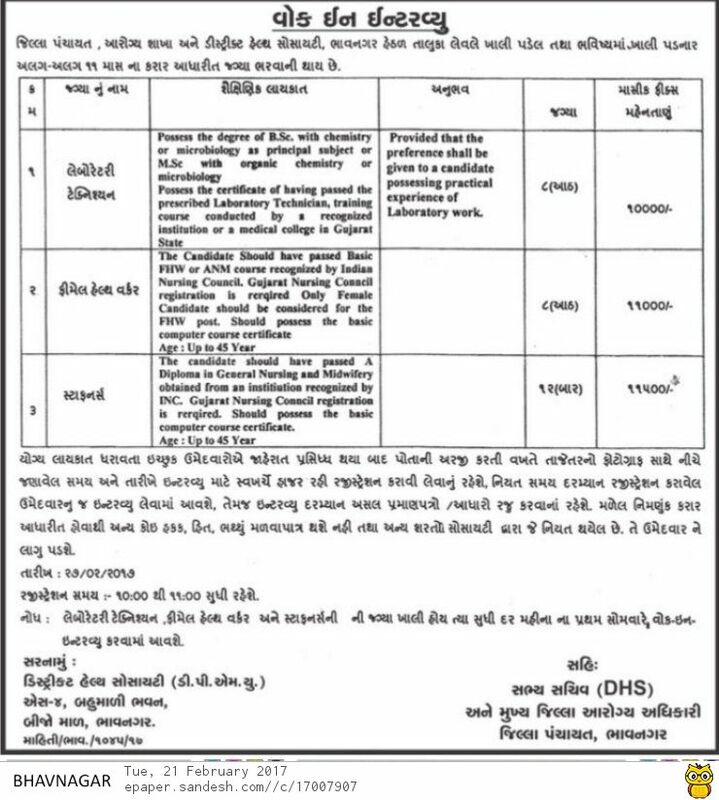 District Health Society, Bhavnagar has been published a notification/ Advt., for latest Recruitment of below-mentioned posts. 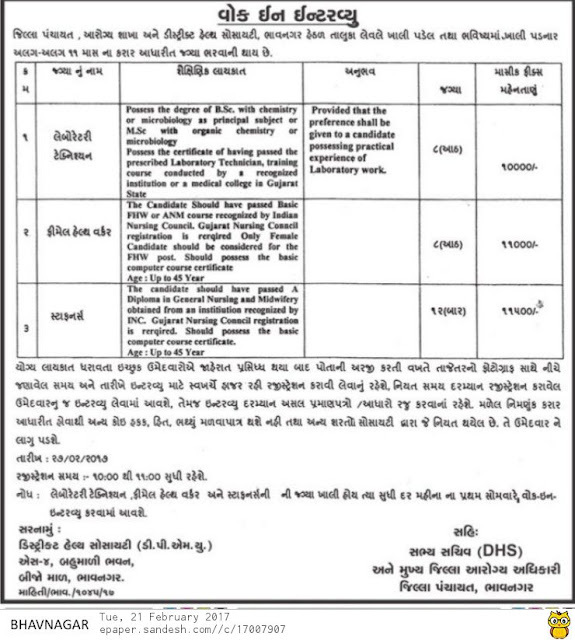 Check more details below. How to Apply: Eligible candidates may attend a walk-in-interview along with an application and required documents has given address.